Do you want to go to southeast Europe for your summer holidays? Then this all-inclusive Sunweb trip to Bulgaria is a match! 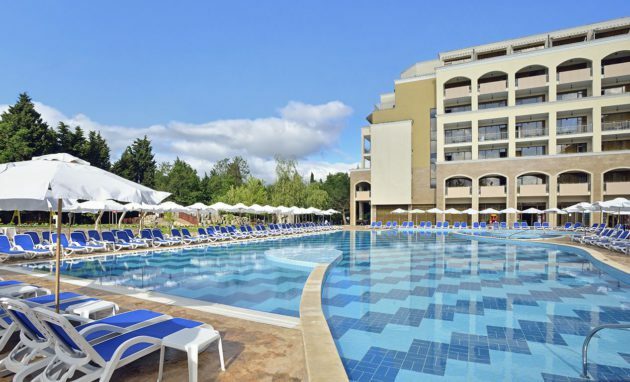 Enjoy 7 days all-inclusive in Bulgaria from only 2839 kr at a 4* hotel with flights and transfer. Spend 7 nights at the 4* Hotel Sol Nessebar Bay in Nessebar, Bulgaria. Take a break from your daily routine and go swimming just in front of the hotel and enjoy the Bulgarian sun. Explore the Aquapark with 5 water slides, several swimming pools and enjoy the evening show program. Each day you get to look forward to a tasty breakfast, lunch and dinner. Additionally, the deal provides you free snacks, coffee and nice cocktails. ? The 4* hotel has received very good reviews on Booking.com and has been awarded with 8.7 out of 10 total rating from over 150 different reviews. The flights are with Bulgaria Air from Copenhagen and Billund to Bourgas airport. Just click on the link below and find the best date that fits for you. There are dates from May – September 2019 available. Sign up for my Newsletter, and don’t miss anymore deals. You’ll be the first to find out about our Bulgaria bargains!